A valid passport does not give a citizen the right to travel abroad, the Court of Appeal ruled today. A three-member bench led by Justice Mohd Zawawi Mohd Salleh decided this when it dismissed the appeal by Petaling Jaya Utara MP Tony Pua. The other judges were Justice Idrus Harun and Justice Kamardin Hashim. The court also ruled that the Federal Constitution is silent on the right to travel overseas. Justice Idrus, who wrote the unanimous decision, said Article 9 on freedom of movement is limited to travel within the states of the federation. The appellate court further ruled that the Immigration Department need not give reasons to Pua on why he was prohibited from traveling abroad. Justice Idrus said although the trend requires decision makers to give reasons for the purpose of being open and transparent, it should be done on a case-by-case basis. “All the points raised by the appellant were not susceptible to judicial review. All the questions that were raised in this appeal lacked merit for this court to formally interfere with the learned (High Court) judge's decision not to grant a certiorari,” he said. 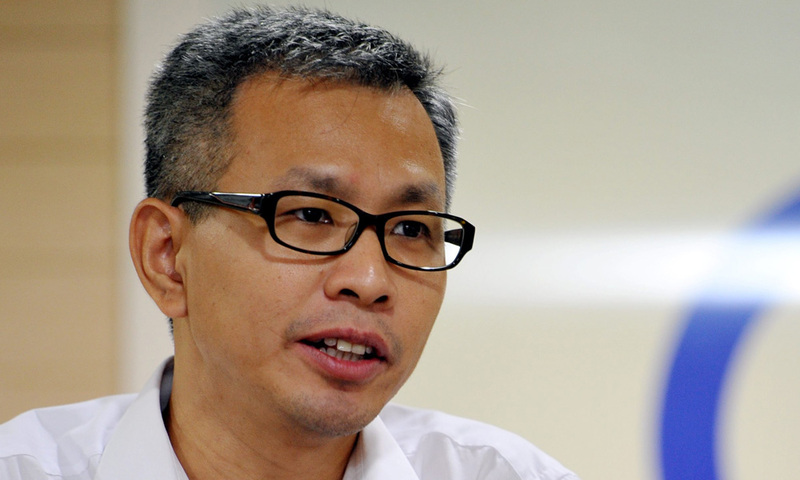 Pua was barred from traveling to Yogjakarta on July 22, 2015, after inspector-general of police Khalid Abu Bakar informed the immigration director-general, via a letter dated July 15, 2015, that the DAP politician was being investigated under Section 124B of the Penal Code on an alleged activity detrimental to parliamentary democracy. As a result of this Pua filed an application for judicial review in August 2015, to quash the immigration's decision to issue the order to ban him from traveling abroad. The Kuala Lumpur High Court had dismissed the application in ruling that the right to travel abroad was not a constitutional right for all. However, the immigration lifted the travel ban on Pua in October 2016. The decision of this case would also have an impact on the travel ban imposed on Bersih chairperson Maria Chin Abdullah and political cartoonist Zulkiflee Anuar Ul Haque, or better known as Zunar. Justice Idrus in his decision also cautioned parties not to always cite constitutional provisions of other countries as the situation there may differ from Malaysia. On the argument that the travel ban has violated Article 5 of the Federal Constitution, he said the provision was only confined to challenges on unlawful detention. After Justice Idrus read the judgment, Justice Zawawi then made no order on costs as agreed by both parties. He also recognised that the issues raised by Pua's lawyer Gobind Singh Deo involved the constitution which should be taken up (to the Federal Court) for further adjudication. “We have very limited jurisdiction. I will encourage you to pursue the matter especially on Article 5,” Justice Zawawi said. Meanwhile, outside the court, Gobind told reporters that he would file an application for leave to appeal to the Federal Court as this was an important issue involving the constitution as noted by the appellate court. The Puchong MP, however, added that the appellate court took a narrow view on Article 5. In April, Gobind argued in his submission that personal liberty enshrined under Article 5 includes the right of Malaysians to travel abroad. Senior federal counsel Shamsul Bolhassan, who appeared for the Home Ministry and the immigration director-general, had previously submitted that the right to travel abroad was not a constitutional right. "It is a privilege, not a right,” he argued.